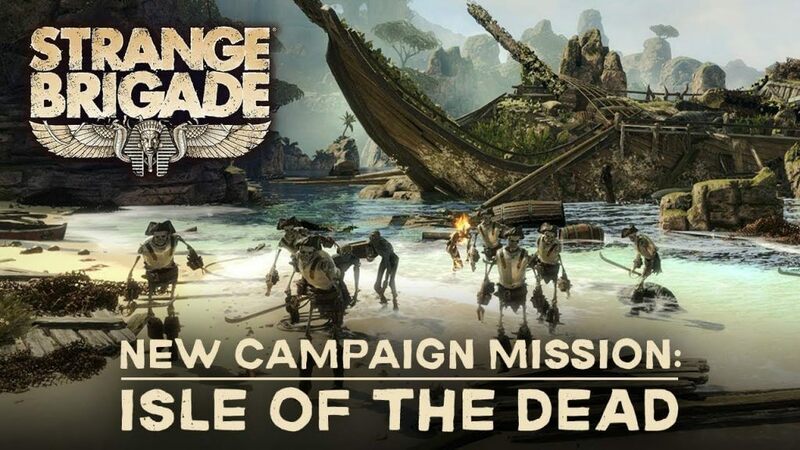 Strange Brigade the up to four-person co-op shooter which has proved to be one of the years surprise gems, recently received its first story-based DLC, Isle Of The Dead. This is the first of three content drops that make up the Thrice Damned campaign. Check out our full review for Strange Brigade. 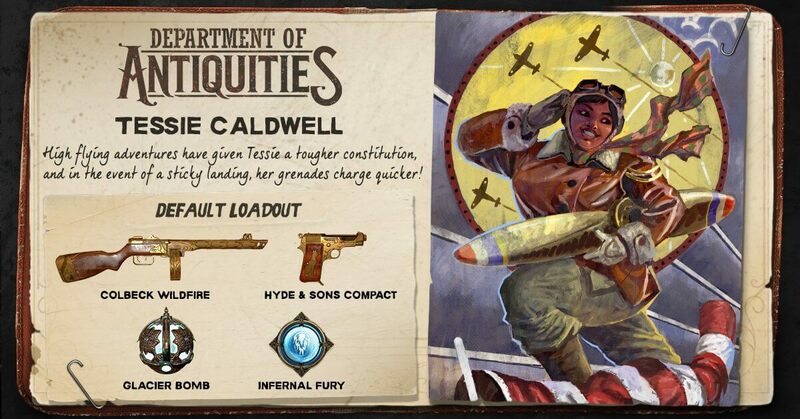 Isle Of The Dead introduces a new character, aviator, Tessie Caldwell, who is likely an homage to Bessie Coleman, the first female African-American to hold a pilot license. She brings along a few new weapons, the Colbeck Wildfire submachine gun, a new sidearm, the Hyde & Sons compact pistol, and glacier bomb grenades, which freeze your enemies for a brief time and is my new favorite thing to do in Strange Brigade. Her default amulet power is the Internal Firestorm. When we last left the Strange Brigade they stopped the evil Seteki from destroying the world with various undead creatures. However, on a distant island in the middle of nowhere, the undead live again. It’s up to the Brigade to once again stop the undead armies of old and new foes by rebuilding the shield of Bes. 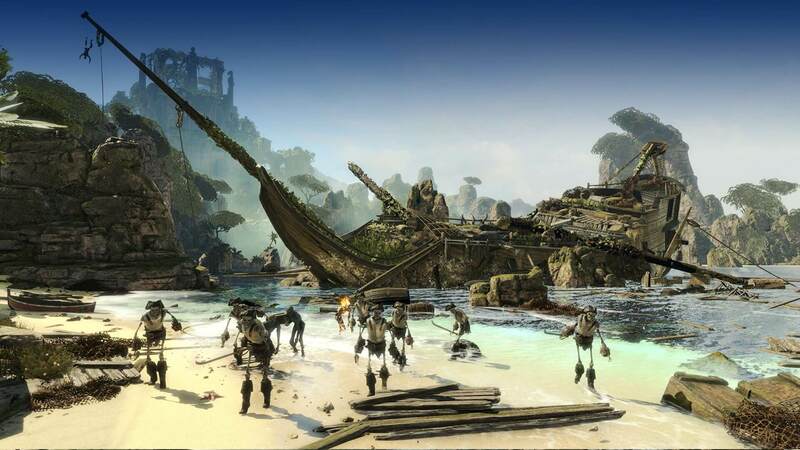 Aside from a new setting, the Isle Of The Dead DLC plays much like the core game, and that’s fine with us. The new level is full of well-hidden collectibles and features a few new types of puzzles. One of the most memorable mini bosses also returns for comedic relief and the game also retains its irreverent sense of humor compliments of the returning snarky British narrator. Strange Brigade still isn’t perfect, but that hardly matters when it offers so much fun and replay value. Plus, its quirks have become part of the game’s charm. If you are a fan of the game, it’s well worth your time and money to invest in the season pass. Still not sure about buying the Strange Brigade DLC? Rebellion has provided a breakdown of all future free and paid DLC. Season Pass Review Code supplied by the publisher. The first story-based DLC for Strange Brigade is out now and is a must buy for fans of the game. Isle Of The Dead is part one of the Thrice Damned campaign, and while it introduces a few new elements, it doesn't stray far from the formula that made the game so much fun in the first place.